Max came to help Maria cover the panels on stage for the Sleeping Beauty school play. 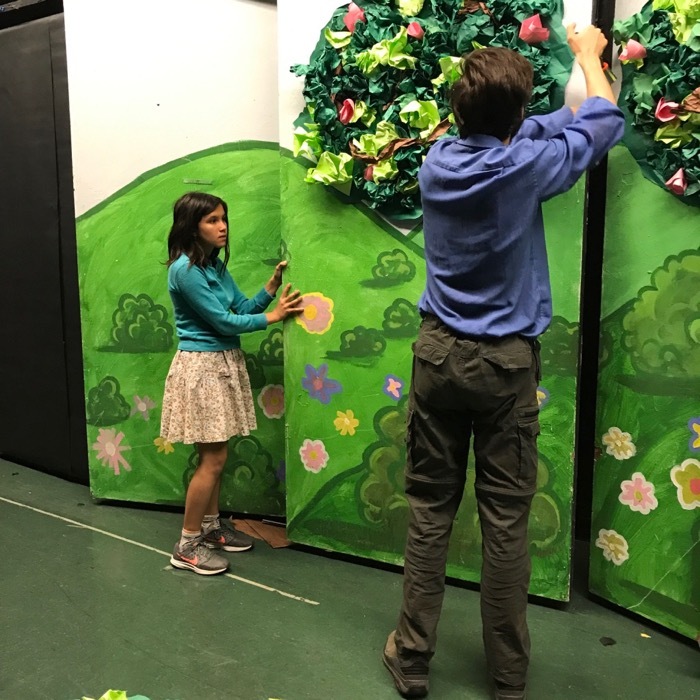 The Musical Theater Club made these trees for the forest and cottage scenes. 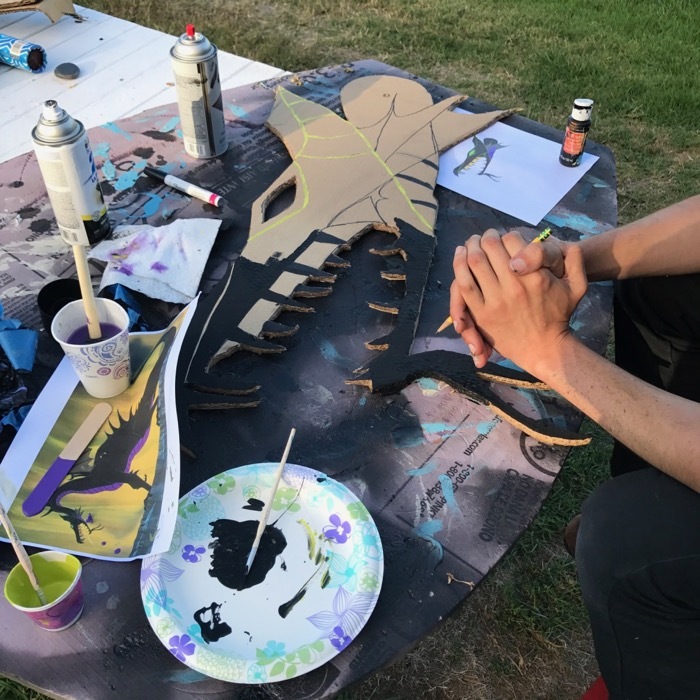 We also used this time to take more measurements... there's very little backstage space, and the dragon has to be able to fit behind the scenes, and come onto the stage, easily. It's a big dragon!